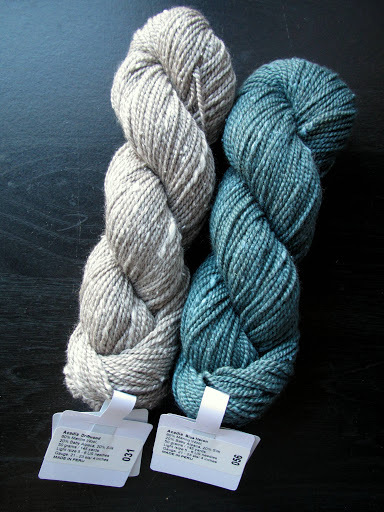 These are The Fiber Company Acadia, colorways Driftwood and Blue Heron (60% Merino wool, 20% alpaca, 20% silk). I love how soft and light they are, and the silk slubs give them a fun, tweedy texture. I think they might become a colorwork cowl someday, like Gyre by Elizabeth Elliott (when I get brave enough to try real colorwork, that is). Any fun new yarn finds for you? How about good colorwork cowl pattern recommendations? Don’t forget to check out more WIPs by clicking the image below! 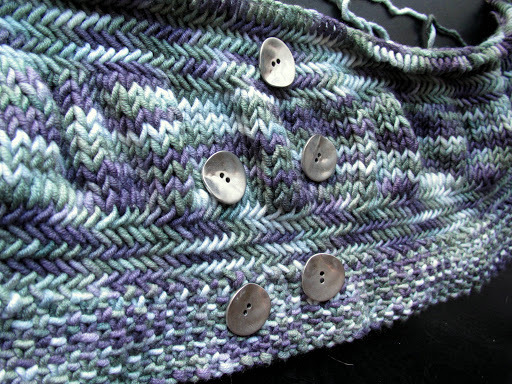 This entry was posted in BlueMoon, cowls, KAL, WIPWed by shoelaceswitcher. Bookmark the permalink. You have been all about the secret projects lately. That is definitely one of the hallmarks of a successful designer though! I'm super envious that you not only live near a LYS, but that your county even has one! I know that if I were you, I would probably need to be restrained daily from buying yarn. 2) Do they have Fiber Company's Tundra at said store? Thank you! 🙂 Yes, LYS's can be dangerous. I haven't had a good/nearby LYS in SO LONG so I'm psyched about it! Good to know! And I'm not sure if they have Tundra but I'll have to check it out next time.